Jackie Anderson has been representing the State of North Dakota as a Special Assistant Attorney General for Workforce Safety and Insurance for over 20 years, handling administrative hearings and appeals. She has briefed and argued over 50 cases before the North Dakota Supreme Court. As part of her practice, Jackie provides advice to employers on various employment issues and has represented employers in defense of discrimination, wage and hour and unemployment claims. She has experience handling employment related cases before the North Dakota Department of Labor, Job Service North Dakota as well as several jury trials in both federal and state court. Jackie is a lifetime resident of Clay County, Minnesota, and continues to reside near Rollag. She is married to Todd Anderson and has two adult children, Elizabeth and Ryan. When not working, Jackie enjoys spending time with her family, travelling, attending concerts and sporting events. She is a 30+ year season ticket owner for the Minnesota Vikings and attends all home games in Minneapolis and an occasional away game. over 10 years in a litigation firm in Moorhead. 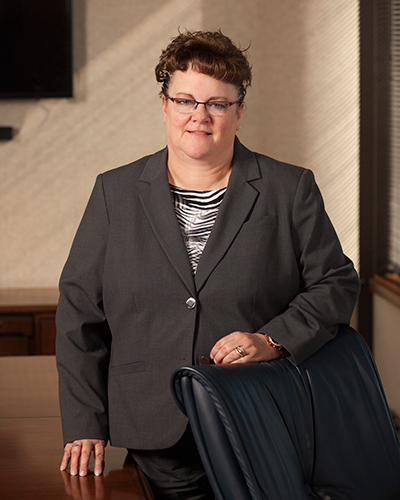 Jackie has made numerous presentations in the areas of workers compensation and employment law.